A while back, I was talking to another American working in Bible translation in Africa. They had put a lot of effort into getting something going and then turning it over to Africans. But it was not continuing as well as they had hoped. It dawned on me that there were places where someone had put effort into the same thing and it was continuing very well with Africans in charge. The difference? In the places where there were lots of difficulties and economic hardship it is doing well. In the easy places, it’s struggling. In fact, this is general true wherever people are translating the Bible for the very first time in Africa. There is more interest in the translations in the difficult places, and less in the easy places. I can think of dozens of contrasting examples. Dayle and I were recently serving temporarily in Côte d’Ivoire. The southern parts of the country are more prosperous, have better schools, roads and health care. The northern parts are behind on all those counts. But it is in the northern parts that new translations are more widely read. In the north, local people volunteer to teach others to read and they are enthusiastic to help the translation effort by volunteering their time in other ways In the south, that doesn’t work so well and more people expect money to do those same things. I listened to several Ivorians from the south lament the lack of volunteering to help in translation or literacy in their communities. There are exemptions, but in general translations done in more challenging environments are more widely used, benefit from more local support and have greater transformative impact. 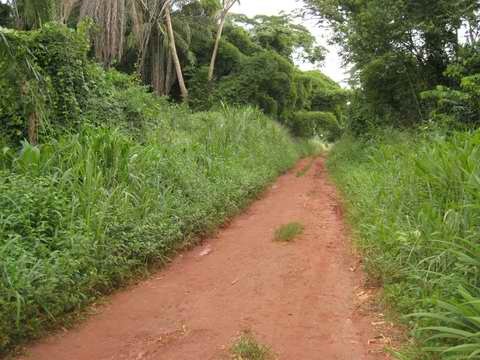 The places in Africa to which a person can easily go on mission – those within a short drive on a good road from an international airport – are generally less likely to produce big impact and less likely to sustain the impact for a long time. But go to a place for which the US government regularly issues travel warnings, or where getting there takes some doing, or where there is some other difficulty, and your mission is more likely to have significant, lasting impact. This entry was posted in Bible impact, Bible translation, Personal experience and tagged transformation. Bookmark the permalink.